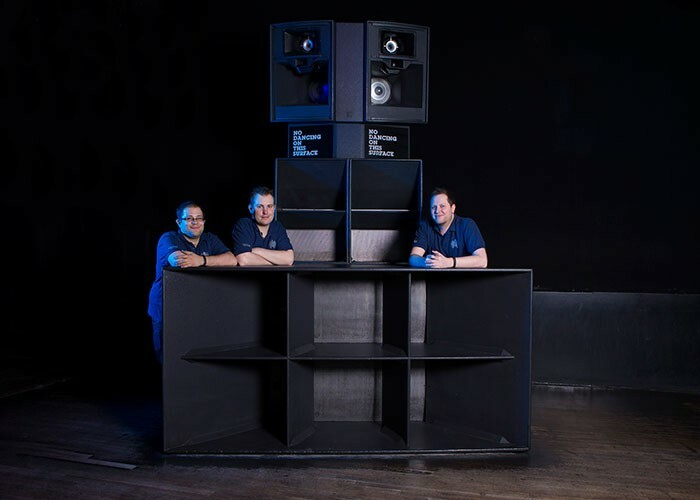 The Ministry of Sound has picked up the Best Club Sound System Design for the fourth consecutive year at the prestigious 28th Annual International Dance Music Awards (IDMA) in Miami – part of the Winter Music Awards. It was the only venue outside the United States to be nominated in the fiercely contested category, and triumphed over Beta - Denver, CO; Cielo - New York, NY; LIV - Miami Beach, FL and Playhouse Nightclub - Hollywood, CA. The IDMA award is a further vindication of Jason Baird’s timeless six-stack 5-way hybrid sound-field, created for The Box — the club’s main dance space. This custom design is the showpiece of the Ministry’s systematic conversion to Martin Audio’s signature sound. The Martin Audio R&D director took the first steps towards creating a bespoke Martin Audio club stack at the beginning of 2008, designing custom versions of the AS118 bass and Wavefront W8C mid-high cabinets. But once the manufacturers had demonstrated a prototype of their new ASX sub, two years on, the system went into overdrive. 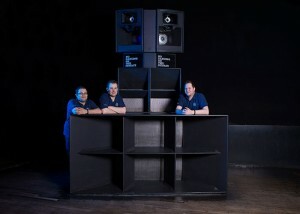 Baird proposed that two 21” ASX subs form the base of each of the six stacks around the perimeter of the dancefloor, coupled with a custom horn flare. The flare not only met the MoS management brief that the design should retain the physical presence of the old stacks, but at the same time enabled more output to be generated with better horizontal directivity. “By accurately aiming the stacks, we could broaden out the low frequencies to cover the whole of the dancefloor,” he rationalised. The 12 ASX subs succeed in driving the frequency range down to 30Hz — all connected to the Martin Audio Control Manager software (which enables each ASX to be individually monitored and controlled). Since then Baird, along with Ministry production manager Chris Thoms and the technical team, have regularly ‘tweaked’ the system to further improve fidelity and keep the sound performing at the cutting edge. “It is an incredible achievement to have won this award once again, and is a testament to the capability of a sound system that just keeps on putting smiles on faces,” said Jason Baird. Chris Thoms added: “We are absolutely thrilled to receive this award for the fourth consecutive year. There is some really tough competition out there, and this year we were up against some fantastic systems. “Our success in this field really is a tribute to the hard work of everyone involved, from the planning and development work which went into the Martin Audio sound system in its current form, the constant improvements and upgrades we make to our sound and lighting systems, and also the original design of the room as an acoustically perfect space – the fundamentals of which have remained unchanged for the past 22 years.